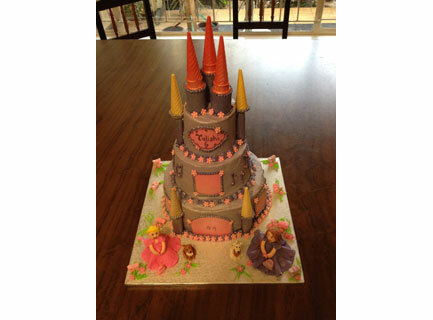 A mini 3 tier butter cream cake decorated like a princess castle. Complete with 2 young friends and their dogs. This is truly a spectacular addition for a girl's birthday celebration. And she will feel special indeed.